In a few clicks, setup your project, build your team, and create and connect the places they need to work together – SharePoint, Autodesk BIM 360, Microsoft Teams and Box. 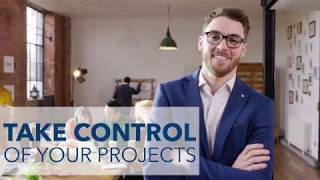 Projects built by ProjectReady bring everything together from the start, so you know what you have to do across your day. Our Dashboard keeps you informed – from project tasks, to approvals of document control packages, to emails that need follow up and quickly lets you know what projects are at risk and what your priorities are. 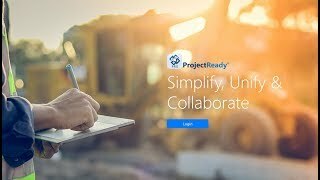 ProjectReady makes it easy to securely stay connected and control your project documents across connected systems. Throughout your day, you need to know everybody you are working with and be able to easily communicate with them. With ProjectReady, our directory means communicating with your team is easy to do and driven by context. Email, call or schedule a meeting with your team from anywhere in the system, or just as easily access all companies, people and projects you’re working with. 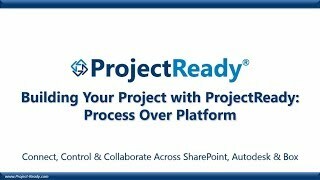 ProjectReady is a Business Process as a Service (BPaaS) solution delivering modern, end-to-end project management and document control across SharePoint, Autodesk and Box. Targeted toward project managers, document controllers and business owners, ProjectReady provides the processes needed to drive projects from inception to completion, as well as the tools that users require to complete all necessary functions throughout a project’s life cycle, such as: building a team, forecasting resource utilization, assessing priorities, assigning tasks, creating estimates and contracts, generating document control packages, distributing documents, monitoring project health, collaborating, and more. Additionally, due to the capability of extensive integration, ProjectReady is able to provide users with a single view into their projects, ensuring that they have secured access to the most up-to-date project content (SharePoint, Autodesk BIM 360) as appropriate for their role(s).